I created a YouTube channel to share my experience and knowledge, but mostly, to document my experiences as I’m trying to pick up new skills and maintaining acquired skills. On my Instagram account, you will be able to find code memes, motivational posts, activities I do on my free time (sometimes not even coding related), events (i.e. hackathons), and so on and forth. On my GitHub account, you will be able to find all the code I’ve ever written and be aware of my current projects for the year in process. Lastly, my StackOverflow account. This year, I’m top 20% overall of all the users you can find in Stackoverflow (only those with a reputation of 200+ can be ranked). My goal this year isn’t to be like top 5% overall or anything. What I want to do is to answer more questions about the things that I do know and try to provide the better content to the community that has been such great thing in my life. I really love how the community grows and how everyone truly wants to help anyone in need! It has been way too long since my last post and I’m truly sorry. I’ve been reflecting on my year of 2018 workwise and some part of it wasn’t so fun and I wanted to share my experience. I have had a total three different employments that year and I went on 35-40 interviews total (phone interview, online coding test, in-person meetings) in 6 weeks. It has been crazy and tiring, but everything work out for the best. When the year started, I was on a consultant contract, but I really didn’t like it. I was brought in to maintain and add features on a Silverlight application. I didn’t feel challenged and that is what I look for in an employment. I helped them sort it out and helped improving the hiring process by designing a document designed to determine the strength of the candidates and the limits of their technical know-how. I found an interesting job perspective in a Montreal startup where I was hired as a back-end .NET core developer. On my first week, with the two other new hires, we were asked if one of us wanted to learn and ramp up on React.js & Redux to replace the current two front-end consultants. I decided to become a front-end developer instead and started learning. Since I had no knowledge, I was a bit too reliant on them and that was because I felt out of my depth. In retrospective, that wasn’t the best of decisions. Because I had software engineering and web experience, I then became a full-stack developer, creating the endpoints on the database and showing off the data in an appealing fashion for the end-user. In the end, it didn’t work out. Things happen, it’s life and that’s ok.
By then, we’re in the summer of 2018 and I’m looking for a new place for work after my contract was over. And I found my dream job at Robotmaster. We’re in the field of robotics and we provide an interface to seamlessly integrate offline operations such as programming, simulation and code generation. We deliver error free programs for your Robotmaster is the ideal off-line programming solution for all applications that require CAD/CAM for robots including: trimming, 3D machining, deburring, polishing, welding, dispensing, grinding, painting, etc. At this job, I found people I can interact with and see as an extended family, whenever I’m not knowledgeable on a given topic I’m assigned on; we’re given the time to grow and learn. That’s actually the key point I love about this opportunity. We can grow in anyway we prefer. I’ve been focused on WPF development and algorithms but I’m thinking of learning the ropes of DevOps in 2019. Sometimes, we may end up in places we don’t expect to be and that’s perfectly fine. What I’d like to you to remember from my post is to re-evaluate where you are right now and truly ask yourself if you love what you’re doing. I think we owe it to ourselves to love what it is that we do since the work is such a big portion of our lives; it has to resonate with you, otherwise, there’s no point with investing all that time. I’m starting the year by taking a look back to last year. A lot of things has happened and right now, I’m looking ahead for things to come. Many things happened to me. I’m trying to sort them out. Those were my last months as an undergrad student in software engineering. I’ve finally graduated. This was a great moment for me ! I was looking forward to it for the past four years ! I’ve had companies tried to recruit me, for instance, Amazon & G-Research. That felt amazing. The thing was that because of personal reasons, even though the opportunity, the tech stack and the location would have been great reasons to relocate, I couldn’t for personal reasons. Maybe in the future, if I have the same opportunities as I once had, I’ll reconsider if those reasons aren’t an issue when they come back. I’ve got my first job as a software developer in a mobile games studio in Montreal. I was hired as a tools programmer. Ever since I got into software engineering, I wanted to get into the video games industry. I’ve started there in May and I ended things in the last week of September. I wasn’t as passionnate as my peers concerning video games. That much I’ve seen by spending time with them. I didn’t play games on my free time. I wasn’t motivated by my job as much as I wanted to be. I appreciated the time I spent there; it helped me to grow as an engineer, all thanks to the role I was given and my mentors. I decided to get into a consulting engineering firm. As a consultant, I’m acting as a programmer analyst II at CAE. I’m mostly working in C#. Within the responsabilities of the role, I feel more empowered by my job than ever. I can now coach interns by answering their questions or helping them through debugging whenever they need help. I was also ask to help for interview process with interns. I’m also helping my team to build their coding standards for PHP & C#. I’ve decided to get more serious about giving back to the community. I’ve started a C# book for beginners developers. They’ll get to see the fundamentals and build a few projects that lets them grow into their new found skills. I’ve also decided to move outside of my zone of comfort. In order to do so, I’ve decided to get into Golang and Python in 2018. Since I’m interested by AI & ML, I think it’s the perfect opportunity to get started in Kaggle competitions in 2018 and also complete the Data engineering on Google Cloud Platform I’ve purchased in December. To get to learn about Go, I’ve decided to take my passion of basketball and make it useful by building a model that can generate a potential winning bracket for the NCAA March Madness. Today, I’m going to talk about an open source gem in .NET for developing WPF applications for people who are interested in reactive and functional programming. To understand the work behind ReactiveUI, one mst understand Rx, or rather Reactive Extensions for .NET. The goal of the syntax of ReactiveUI for read-write properties is to notify Observers that a property has changed. Otherwise we would not be able to know when it was changed as it’s mentionned on their website. This is super cool because it allows you to abstract mutable state away from your user interfaces and express the idea around a feature in one readable place whilst improving application testability. Soon, I’ll be building a Xamarin application with ReactiveUI. I’ll also weight the pros and cons of implementing the business logic with Akka.NET and F#. Keep on reading and you’ll see it briefly. Of course, it may be a little long to have to define the exact type with the namespace at the top of the file. But it does make the code simpler to read in the end in the source file. Although, there may be a way to get around this which can be cool ! This way, we get simpler naming, and aliased generics get a bit less of a hassle to use ! Do keep in mind that C# only supports closed aliases, meaning you “cannot name an unbound generic typedeclaration without supplying type arguments.” (section 9.4.1 of the C# Language spec). I’ve spent quite some time in the past using the Roslyn API, in an internship and during the Google Summer of Code 2015. Thought I’d be a great idea to present it here. The .NET Compiler Platform, known by the name of Roslyn, was made available to the public as an extension to Visual Studio in 2010. During the Build 2014, it was made an open-source project by Microsoft. In short, Roslyn provides a set of open source compiler and code analysis API for .NET languages but only Visual C# and Visual Basic are supported at the moment. Before, when programmers were writing some code in order to solve any kind of issue,they hoped for the code to build and then run some tests on it and finally, build it on TFS and hope it works. Compilers were seen as some kind of magical tool that would check up the code worked or not. In the past, this system was working but as we progressed and get more complicated software, we, as programmers, we need great tools such as refactorings to increase our productivity. This is where the open source project gets in play. The .NET Compiler Platform enables users to get more information concerning their source code. Instead of simply writing code and hoping for the best, it there are different APIs that can now be use for different tasks such as code analysis. In short, source code analysis is the act of automatically testing source code in the hope of finding bugs within the source code so that it can be fixed. Using a tool like code analysis can lead to many favorable circumstances like code transformation. The compiler platform was built on top on the C# and Visual Basic compilers. Roslyn can be seen like a compiler as a service. The term “compiler as a service” or CaaS should not be looked like other services like Platform as a service (PaaS) ou Infrastructure as a service (IaaS). Roslyn was created in order to reengineer the compiler of C# and VB.NET. It exposes different phases of the development phase such like the compiling time. The service given by the CaaS empowers programmers like never before. As it was mentioned earlier, the compiled code is now exposed and can be manipulated by users. Basically, this black box (.net compiler) is now broken apart in many pieces, that when, they all are put together, it creates what is called the syntax tree. In brief, the syntax tree is a representation of the code written in a source file. The syntax tree is code agnostic; it will not have any issues representing the code from a .cs or .vb source file. This syntax tree uses three different components; SyntaxNode, SyntaxTrivia and SyntaxToken. The SyntaxNode are the core members of the tree, tokens and trivia directly depend on them to exist. Nodes can represent an “infinite” number of syntaxic which can go from a class declaration to initializing an object. As for tokens and trivia; tokens represent small fragments in code, such as identifiers (ex: variable’s name) or keywords (ex: int) and trivia represent all that is remaining in the file such as whitespace or comments. While they give a lot of information concerning the source code, they don’t give quite enough. This is where symbols come in play. They provide semantic information that the compiler knows about the source code. The symbols contain the information the compiler knows concerning the elements within the source file. Inside symbols, it is possible to find information such as in which assembly a type has been declared or various information concerning a class or namespace. With this kind of information, it’s now possible to validate the type of node during the code analysis. Symbols are separated in two distinct types (interfaces) : ISymbol and ITypeSymbol. ISymbol will help users retrieve the information. Keeping this in mind, it is now possible to move over to code analyzers and code fix providers. Roslyn analyzers enables developers to enforce certain rules within their code base such as using only “var” as local variable type. A Roslyn analyzer must inherits from the base class DiagnosticAnalyzer which expose a set of diagnostics the analyzer will be responsible for, using the property called “SupportedDiagnostics”. Another important fact concerning diagnostic analyzers is that the analyzers are initialize via the Initialize method inside DiagnosticAnalyzer sub-class. Using the parameter of type “AnalysisContext”, the analyzer registers on the type of node given. Look at the example below. It uses the static class SyntaxKind. This class contains all types and tokens. This class is extremely helpful to find out if a token is a comma or to specify that you’re looking for an object creation expression for your analyzer. A diagnostic analyzer is only used to find out if the rule was met. In a situation where the peculiar rule, let’s say that the call to the base constructor is redundant, the diagnostic analyzer will only look at object creation expressions and analyze them with the given algorithm. A code fix provider will fix the source code that needs fixing. The most important element in the code fix provider is the method “RegisterCodeFixesAsync”. The information that developers should keep in mind is that information concerning source code is immutable, it cannot be changed. Using the Document property of the CodeFixContext class, it will be possible to access the syntax root of the source code by calling the method GetSyntaxRootAsync(CancellationToken). The remaining work for the developer will now be to retrieve the SyntaxNode object that created a diagnostic. Finally, the developer needs to create a new root tree where the node has either been removed or replaced by making sure it respects the diagnostic rule. Well, that’s about it readers. This should be a great introduction for those wanting to dive into the code analysis world. 2. Why do code katas ? let mutable text = ""
So basically, the process is made thanks to formatTextOutline and formatTextNode. Through those functions, I can create the Outline record that holds the formatted text and the indices for the level of formatting (Indexes). When I get in formatTextNode, I can first establish the heading style of the line thanks BulletPointStyle discriminated union(DU) type. Using the style enables me to know if I only have to take care of numbers or the letters. When I have to deal with characters, the HeadingWeight DU becomes handy to see whether or not I’ll be using a single tab (4 spaces) or a 2 tabs (8 spaces). In the fall, I wanted to push forward AugmentedTactics with SmartTactics using F#. The project turned out to be too big for the 3.5 months so it became a tactical role playing game framework (More on this in a later post). This year, I’m finally finishing my undergrad in software engineering that I’ve started in the fall of 2013. So I’ve got a lot things to look forward and to think of such as possibly pursuing my studies at a higher level (Master’s degree in software engineering for instance). So I’ve made some kind of bucket list of things I wanted to achieve this year. So, professional shaped skills… What’s that. Basically, it’s the form your skills take concerning your expertise in your individual field(s). This form will depend on both depth and broadness. Trying to learn as many things as possible will lead to little depth and a large broadness of skills. The exact opposite leads to an ‘I’ form where you’ve picked up a single domain and you’ve decided to become an expert. The problem with being a jack of all trades, we can’t justify our opinion on a particular subject, you may be not be in a place to answer that question. Although your opinion may not be value because you’re not expert, I do believe that trying to learn as many things as possible will bring you baggage. This baggage can help form some sort of highly credible hypothesis when you’re asked, let’s say, by a client a particular question such as what should be done in case you’d like to build a website and include the X feature. Let’s talk about the expert. The expert is the go to guy. He’s the guy you want in your team to be able to quickly build a project from the ground up and see it through. Some problems may occur and because of his/her experience, you will have sound advice when you need to ask the hard questions. Although becoming an expert may seem like the thing to become, I’d advise to think it over again. Becoming an expert in one thing may lead to problem career wise in my honest opinion. You may wake up on morning and feel like you’ve waisted 5, 8 or even 12 years in a field and it doesn’t attract you any longer. You don’t have anything else to fall on. This brings me to the principal shapes for professional skills. T-shaped skills is when someone would combine some deep expertise on a topic with a broad and more shallow knowledge on things. Pi-shaped skills would be to have two deep expertise and comb-shaped skills one person having multiple set of skills. In my case, if I were to pick right now the set of skills I’d like to deepen and the rest would be “noise” helping me getting a better all-around software engineer, I would only pick a few. Here’s the list below. Yes some of those skills are far from each other and some are pretty close to each other. Thing is, right now, there perfectly aligned with the set of skills I have / want to have. More than that, I think those 5 fields are large enough to let me bounce on feet whenever I feel the need. I can start projects of my own whenever I’ll feel the need. Bottom line, I may not become the best guy in each of those fields. Nevertheless, I think the challenges those fields will make me face throughout my career will make a better developer. Which one should people try to aim for ? Try to pick 1 or even 2 skills you’d like to develop in your domain. For someone in software development, I could say you could try with web development and databases and move on to other related subjects once you feel comfortable enough to work juggle with new things. Comb-shaped skills are hard to maintain and it makes sense. You need to spend a lot of time to cultivate them and even more time to maintain them. As you become more and more advanced, you’ll need to read research papers, go to meetups and even conferences to deepen your knowledge. Right now, the skills I decided to work on may seem hard to maintain. I think we should know our limits and see how much time we can afford to spend on those skills. Since I’ve started my career in software engineering, I’ve been able to see what I’m good at but more importantly, what I’m bad at. With those specifics in mind, I decided on the abilities I want to have in a near/far future. I’ll finish with this: have a broad knowledge to become a better generalist and at least one thing where you are an expert. Becoming a strong generalist will help you decide what you may like enough to start spending more time in it in order to become a specialist. Don’t forget to have some insights on competitive technology stacks that are out there. Each of them will have their strong/weak points.To work on a project, one would need to be aware of what’s out there to be able to make a wise decision. Become better, learn better, do code katas ! Today, I’m here talking about how to better ourselves us developers. We’re always learning while working and that’s bad. We should instead learn in our own time and practice before trying to use our tools to resolve the bugs in the software and the features requests from the clients. Learning on the job takes that much more time to work on our things when we should only be working on what we’re being paid for. There are many ways to learn and I’m not saying that sharping your skills with code katas is the best way to do it. No. What I’m trying to say is that you should try to spend some of your free time and practice one of your many languages. Through code katas, one can learn and practice many core and advances computer science/software engineering concepts. A code katas is a problem that must be solve in any way possible. The fun of doing them is trying different ways to solve a problem and see which way would be the best way to resolve the issue. Using a code kata platform such as Codewars, after solving a problem, you can see the solutions of other people. This way, even if you’re an advanced user of X language, seeing other solutions can bring you perspective and show some internal API function you couldn’t have thought of. And yes, I know you want to become better. One cannot become a master of his/her craft without devoting time to practice and practice. Practice makes better. It’s undeniable. We need to practice and better ourselves. This way, you can be a even better software engineer at work and earn that well deserved promotion. If you’re an entrepreneur, well practicing will help you learn things that code bootcamp couldn’t show you because you have a limited time to see a bunch of stuff. But let’s get one thing clear. It’s not productive to repeat the same problem. It does not bring you closer to the path of enlightenment. Let’s look at it this way. When we’re babies, we must practice for a long while before we can learn out to walk by ourselves. But after that, “practicing walking” doesn’t make your walking any better, does it ? Practicing the same thing will be beneficial if only you try to include constraints and twists to make it an even better scenario. For instance, well this time, I can only used one kind of data structure or I have to used a maximum of X local variables or I can only used a certain amount of character space. Code katas bring you closer to the path of enlightenment in cases where you do make it harder and trying other problems. As you solve more code katas, try to take on harder problems. Doing so, this practice is actually worthwhile and those challenges will introduce you to new ways of thinking. I think you can pretty much gather that I strongly recommend acting this way. One thing that I must say is this: try to solve your katas without using an IDE. You’ll be able to remember your basics and try to focus on a simple solution without letting the IDE make life easier for you. I’ve been talking about using efficiently code katas to improve yourself. I can’t speak for everyone out there, but I would like to attain mastery as quickly as possible. As I said before, to get to the level of skills that you would like to get, you need to practice at an higher level of difficulty. Being used to practice to a hard level, what you do on a constant basis will seem that much easier. Practice smarter. Not repeat the same things but try harder challenges or adding twists in scenarios and make those challenges harder. Cast aside some of your personal time. Doing nothing more than what you have to do won’t bring where you’d like to be. Don’t use IDE. IDEs will make it that much easier to use complicate constructs and will auto-complete your solution. Well, I’m saying that for people who are practicing for an interview. You have to remember your language API and be able to solve a problem in front of the technical team who’ll judge if you are at the right technical level. Look at other’s people code. See, when you solve a problem, you might think that the solution you have is the best one and that was the only way to do it. Looking at other people solutions will bring you clarity and will broaden your vision. On an ending note, you can’t learn everything you want to learn through code katas only. You must also cast time aside for personal projects or try to contribute on open source work. All of this work is necessary to bring you a little closer to the level you’d to be on. And when do get on that level, try to go even further ! Today, I’ll be talking about a special project I have not only designed from A to Z but also implemented. Well, it’s not as big as this sentence let’s it sound. I worked on developing a prototype of a mobile game in augmented reality. Being a huge fan of tactical RPGs, I found it natural to try to develop a tactical RPG prototype. Augmented Tactics tries to replicate the same experience players had when playing Final Fantasy Tactics. After working on this for about 2 months, and I will do it again this fall, I feel compel to talk about the work I did so that others might found inspiration for their project. When I’ll complete the next phase of the prototype, this time called “SmartTactics”, I will then talk about its progress. What did I want to achieve ? Being a huge fan of TRPGs like I’ve mentioned earlier, what I wanted to achieve was to re-create a typical battle system. Such a system would include a certain number of characters of different class ( Magician, Swordsman, Lancer, etc) in both parties. Those classes would have the special abilities such as attacking with a weapon (sword, axe or whatever) or spells and also,each of those classes would have a tactical advantage to one or more. In many games, players must move their character in a squared field where depending of the character’s stats and class, he/she can move from 1 to a maximum squares (let’s say 7) during the movement phase. I wanted also to give different options to the player during the attack phase. With that in mind, attacking an enemy from the side would give a bonus when attacking, which would be added to the attack bonus if that character had any special role advantage. Characters coming from a Magician sub-class such as Spellsword, Healer, Dark Mage, etc, would have each have 1 to 2 different spells depending of the sub-class and the strength of those spells. Something that would be a fun mechanic (in my honest opinion) would spells that could interact with the environment. For instance, a spell that could create a line of fire and if a character goes through that line, he/she will suffer burn side-effects until the side-effect goes away or a special item is used to counteract that effect. Talking about fun mechanics for my prototype, each class would have certain number of action points which would include actions such as moving, attacking, rotating and so on and so on. The player would need to correctly use those points to form a strategy to defeat the AI. 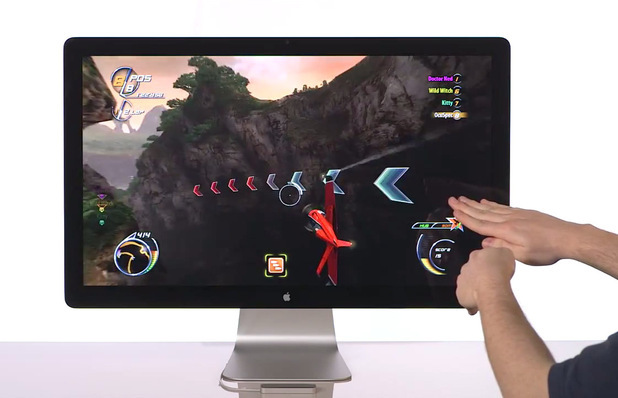 Not only that, working with Unity would provide me the chance to play with augmented reality. Vuforia is an easy API that seamlessly integrates with the game engine and can project the 3D models using a special anchor in the real world. In an effort to develop this game correctly, I design the tests using NUnit. I don’t have to tell you that TDD enabled me to think of the code I wanted to do in order implement, for instance, a character builder. The character builder creates a character, gives it stats and different kind of information. There’s one example below. I know that some systems are faulty because of their design. Such design problems can be categorized as “too coupled”. Having that in mind, most of the code is based on the following classes : CharacterObservable ,IChoiceAction and ICharacterActionCommand. The first abstract class give the power to manipulate characters at any stages, whether I’m building that healer class or that berseker is about to die and I have to notify the game manager to launch the dying sequence before destroying the game object. For those who find CharacterObservable name funny, I based the work on the Observer pattern. IChoiceAction interface let’s me create the sequence of action the AI can do. Through the interface, the AI can build an attack sequence to either attack the closest human player or the one most likely to get a maximum damage due to a certain number of parameters. ICharacterActionCommand interface let’s me build the battle system. Through that interface, I can notify the command manager when the player wants to attack an enemy or when I need to move to a certain place. Acting this way, my code looks for either interfaces or abstract classes. Being not couple, the code becomes very reusable in my opinion and it made that much easier for testing after designing my tests. After designing the map as a List of List of tiles, I made it simple to highlight the tiles in the game to show the entire range of movement of a given character during the move phase, if the player desires to move the character, it’s up to him. In order to know what to highlight, I look at the move points available for the character, and I try to create paths that are still “opened” for the A* pathfinder algorithm. That algorithm enables to find the shortest path between point A and point B. That an useful algorithm for the character intelligence. Move towards the healer when health is low or heal member in party with the lowest health. Move away from danger which could be something like this character has a tactical advantage on self or if I attack this character, I’m putting myself in danger because I’ll be close to a party of three and health is below X %. The move selector enables the AI to select which command sequence to perform at each turn. Depending of the situation, each of the command sequences are created and weighted. For instance, moving to the fullest of the available move points doesn’t give a big weight. But, having a low health (~30 % for example) gives a much bigger weight. The sequence with the highest weight is perform through the use of a List<Action>. This is custom AI. I wasn’t really using AI algorithms except the A* implementation that I found online. For phase 2, I’m thinking of using many AI algorithms to help build the hard mode of the prototype. Using supervised and unsurpervised learning algorithms, I will be able to create a better AI that I had developed last fall. First, I’ll train the AI to adjust itself against players with high offensive stats and low defensive stats. Then, I’ll make so to train it using high defensive stats and low offensive stats. I’ll see how the AI reacts when placed in a simulated environment where characters have mixed stats. To make things more stimulating, I will let the AI get experience and be able to level up its characters. Doing so, I will have to let it learn how best upgrade the stats using its brain to see which stats give better reaction in the field for a given class after leveling up. I would also like to see if that smarter brain can pick the best equipment from the merchant for any class. I would use many different parameters to help the smart brain to practice and get better over time, things such as getting bonus points if brain get beat its best time, the experience concerning when a given strategy was used or the remaining health points of a targeted enemy. I’ve been dabbling with F# during my internship and at my part-time job this summer. With that in mind and wanting to pursue my work in functional programming, I was thinking to port the game in F# in either Urho3D, Xenko, Duality or even Unity game engine. So the Augmented Tactics prototype will be ported from C# to F#. Being that I remain in .NET, the work wouldn’t be herculean. Another thing would be to make fixes and implement small lacking features from the first prototype. Well because of health problems, I won’t be able to meet the expectation for the midterm evaluation coming next week and I will have to step down from the program. It pains me to do so since the project was taking me out of my comfort zone and forcing to adapt to a new stack and way of thinking. I thought that such a project was a necessary stepping stone for my growth as an aspiring software engineer to be (graduation in July 2017). Next year, I will apply again and with luck, my health won’t be an issue this time around ! Being myself a fan of functional programming and cross-platform development, I thought you might like a nice read on how to create your very first platformer game with F# & MonoGame. For those not having any prior knowledge of F#, don’t worry, I’m going to do a series on that pretty soon ! Last summer, I got into an interesting course entitled “Emerging topics in information technologies”. During the first part of the course, we focused more on 3D computer vision techniques and how to manipulate 3D images.Issues such as depth-image-based rendering were obscure and captivating enough to get me motivated throughout the summer semester. In order to go even deeper in our discussions concerning 3D images, we were given Kinect 2.0 for half the semester to do a small project in WPF. The goal of the project was to produce a 3D image in real-time on the 3D glasses free TV Dimenco screen using the Kinect 2.0. Achieving this goal would let to have an hands-on experience with analyzing 3D images and their rendering using a given technology stack. So this was the workflow. As easy as all this can sound, this was not a trivial student project. Having some experience with C# and .NET made the work a bit easier for me than for my classmates who didn’t have the chance to get some experience with the MSFT stack. Although, it still took me the whole four weeks and 25 hours of development, mostly doing some trials and errors to find the optimal solution that would show the perfect 3D image in real-time on the 4K screen. My last problem by the time I hand in the project was that I thought, personally that the rendering could had been sped up and optimize. All things consider, the project was a success ! Late post before I go to bed. I don’t know if you ever heard about Euler problems ? It’s a series of challenging computer and mathematical programming problems. They require some thinking in order to be solved. The reason behind solving them is to acquire better skills at problem solving, which is something that I yearn for. They provide sometimes unusual context in which the mind of the solver will be challenged. I invite you all to try them by yourself, they’re quite fun to do ! You can take a look at my progress here. What are extension methods ? Extension methods are quite simple to understand and they can be quite useful in time of needs. An extension method give you the power to create a new method for any type that you would like. They’re static methods designed to extend the capabilities of a type without having to extend the type and add the method(s) that a programmer would like to use. Extension methods must be defined in a separate static class as static methods, as it was mentioned earlier. Although they’re static methods inside a static class, those methods can be call using instance method syntax(e.g you can use a local variable/ parameter and have access to that extension method). When creating your static class, you need to keep in mind that not only everything must be static when you’re declaring the class and method but the first parameter specifies the type on which the extension method will act. When defining your method, the first parameter must be preceded by the this operator. In a few words, the this operator refers to the current instance of the class or object if you prefer. It enables you, when using this, to access any member to the current instance of your class. Why use extension methods ? Why would you need to define extension methods in your normal day life as a developer? Things can happen and sometimes, the library you’re using could be more restrictive than you would like such as the class you would like to extend for a few more functionalities is sealed. In those times, extension methods can be quite useful in order to achieve quickly what you’d like to do. So here’s below an example of an extension method. What the sample will show you is an extension method with the sole purpose of reversing the value of an int. Before I forget, there’s something I would like you to do when designing your extension methods. Beware, it becomes easy to have only one class for every extension method you will use. Don’t. You should separate concerns and make sure to either you one static class per type or at least, regroup extension methods into one domain and make sure the types being extended in your class are quite similar. I won’t say yet again that it has been too long because it really was. I’ll try to keep my blog updated weekly concerning a program I’m doing with Google this summer. It’s called the Google Summer of Code (GSoC). Basically, it’s meant for students to be able to contribute on an open source project with a community listed for the summer while being able to make a few bucks for the summer ($5500 USD). Why am I doing this? Well, first, I want to expand on the knowledge I currently have. Being in computer science and software engineering, we can never stay in the same place for too long, we got to keep moving forward. By now, you should know that my background is in .NET. I completed three internships in .NET. Something that you may not know is that I completed the GSoC program last year. I had to help the Mono Project to update their code analysis and refactoring library which was using FxCop at the time. Being that I had experience with the Roslyn API, which is a compiler platform, enabling users to develop rich code analysis rules and code refactorings for .NET languages (C# & VB.NET). So last summer, what I had to do was to either find old code analysis rules done with FxCop and refactor them using Roslyn and also add a code fix provider matching that rule or implement new ideas that the project owners had in mind. A code fix provider is basically a fix to the “bad code” that was picked up by the code analyzer. For those interested to get to know more about the project or even use the library as an extension to their .NET solution, please take a look there. Working on that project was a great opportunity as it lead me to my first remote job. Well actually, this is not a job, it’s considered as a student activity. We don’t have a steady wage. There are different phases and if the student passes a phase, he/she gets paid and is allowed to continue working on the project he/she was assigned. So basically, yeah, my first remote job experience. At first, it was difficult to be able to set time aside and focus on working on my project by own at my home or in coffee-house. After a while, it kicked in and I think I did pretty great since I was able to finish my work ! For this summer, I’m completely outside my comfort zone. I have to work with C++ in a Linux Ubuntu environment in order to develop a Telepathy Connection Manager for the Ring protocol. Basically, Telepathy is a real-time communication framework used by clients for instant messaging or video chats. Working with Telepathy and D-BUS, an Inter-process communication system,will be able to communicate with both phones and computers to enable two-way communication. Right now, I have to do my proof of concept showing that we, at Savoir Faire Linux, are able to communicate by sending text messages back and forth. From that point, it’ll be easier to work on video chat which is far more complex! So lately I’m been off the blog and I apologize. I’m still an it engineer student, but sometimes, I feel that we learn much more on our own than just hitting some books and doing tutorials like making a simple UI. Don’t get me wrong, I love studying and what I do in school, but I see that I learn much better and retain the information for a longer period when I try to get it by my own. What I’m been doing lately is hacking. Hacking is such a strange word for what I did. When I say hacking to people, they then start thinking of me, behind a computer, trying to get into a bank account or something like that. I did hacking in an hackathon which is, in a few words, an event in which people collaborate to develop a software, this include people like programmers or sound designers. Hackathon can have a theme and teams must follow this theme while they’re creating their software and sometimes, it’s open. Why do people go there ? It’s my personal opinion that there’s no better to upgrade your skills and validate your current set of skills. During an hackathon, you need to get your hands dirty, you need to get creative, you must be wired into your software and don’t let too many things distract you from your goal. Usually, you’re never ready for the theme or the given subject, and that’s the fun in it. Why would we want to go there and not challenge ourselves? That’s exactly why I went there. To have some fun, but mostly, to challenge myself. So yeah, I did challenge myself and you know what? I completely hit a wall. And it was really fun! Don’t get me wrong, I don’t like losing sleep for nothing because yeah, hackathons are not long usually and you must dedicate your entire time to make sure you meet the deadline. Exactly like the way pros would handle a client project when they’re getting closer from the delivery date. My second project made me learn Android development under 24 hours, which was not particularly easy from the get go. Having prior experience with Java made it just a tiny bit easier, but I wish that I would have made my project which what I already knew (Windows Phone 8.1). But I went there to challenge myself and learn new things so I’m not going to complain. What I want you to keep in mind is that hackathons are a fun thing to do, at least once. They give you a tremendous experience about what’s going on in the outside world. You have to consume information really fast and perform to the best of your abilities and even beyond that to get things done. More than that, they help you to have a realistic vision of how you have to manage the development of a project under a minimal amount of time. Basically, you’re going to have to lay down core fundamental things that have to be there, be realistic with your set of skills and make sure everything that needs to be there there before you start adding unnecessary stuff. For myself, hackathons opened my eyes on some things and mostly, on the way I work on my projects. What I remember from all this, my best work is not done when tired. I took a few days and went over my work to correct many mistakes that I made. Hi there readers, So, we’re finally getting into the final pilar of object oriented programming, polymorphism. It’s a strange word at first, but we get use to it pretty fast. What does the word polymorphism mean? Method overriding? Virtual methods? What are those ?? Basically, virtual methods are found in the parent class. Virtual methods are behaviors in parent objects which can be overridden by their children. To make sure a method can be use by the children and be overridden, not only it must have the virtual keyword in its signature, but it should also have the protected keyword to make sure that only children can use it. This is a key concept in oriented object programming. Easily, it’s possible to see why such a feature can be attractive for programmers. We love code reuse and we hate rewriting the same piece of code. Some readers might wonder why we hate rewriting code, right ? Well, it’s pretty simple in fact. It’s a bad programming behavior, YOU SHOULD NOT DO THAT ! Having to rewrite code will double or even triple or X factor time the amount of time you need to invest into maintaining the software. Back to virtual methods. Having a basic foundation for most of the component in your system simplifies the work that must be completed. More than just this, when you’re overriding behaviors, it’s because you have a darn god reason to do this. in fact, while you’re testing your code or going over your software a few months after writing it, you’ll understand exactly why you did why you did. We usually do this because we have a good reason why. This book looks interesting enough to give it a try. I’ll order a copy today. I recently read F# for C# Developers by Tao Liu. As usual, the disclaimer is that I received a copy of the book for free in return for the review. This one was a challenge. Not because of the programming paradigm shift from imperative driven programming in C# to functional programming in F#, but because the density of the book and my having read a different book on F# rather recently. I’ve been out for a while like I said in this post… I got erased somehow and I decided to re-write it. So basically, I was saying that I found this new internship as a mobile developer in a .NET company ! It is a third-party Microsoft company which delivers windows phone 8.1 and WinRT (Windows 8.1). More than just this, they do cross-platform development using Xamarin to create Android and iOS apps with C#. See, this is a great language ! I really do love it ! I’ve been busy from catching up with everything I have to get to know to be efficient at my new job. So I put aside my blog but I’m back and here to stay ! More than this, I mentioned in that post that I was currently working on y first windows phone application. During the development, I did a few mistakes, which is acceptable since it was the first time I was doing an app. But there are things that I learned along the road so those mistakes are less likely to happen again ! I’m going to create a blog post which will take us through the app (LearnYourWeather) which allows you to get the weather of a selected city ! Yeah, it’s me again ! I’ve been missing writing here, so tonight, I’m going to write more than usual ! During the last few days, I’m been surfing the web and I found something quite fun to follow. There’s this woman, Jennifer Dewalt, which was an artist before. Well, it’s my belief that once you’re something, you can’t really say that you’re not anymore even though you don’t practice it. So let’s say she’s still an artist. That’s not the point. She was into programming but had no background. She decided that reading books or going to boot camps wasn’t her thing and did something else entirely. I haven’t pick out the exact day when I’ll be doing this, but I will mention it soon (February maybe). For this challenge, what I am going to do is link every project in my GitHub acocunt. But, I won’t go through every project in this blog. Some, which I’ll try to pick out in order to make most out of the learning experience, will be explained. We have talked about the first principle of object oriented programming in an earlier post. Now, it would be time to talk about the second one, inheritance. In the normal world, we talk about inheritance when one is about to receive some piece of land or a title from a loved one in his/her family. In the programming realm, it is more than this. In OOP, inheritance happens when a class is based on another class . This relation is special because they share the same implementation. Doing so, the class (B), who inherits from the other (A), share the same behavior that A has. But why would programmers act like this? Why not simply copy-paste the code from the class A to the class B? Those are actually good questions you might have had. I don’t know if you remember from earlier posts, but I had mentioned that having a software which had a lot of code was not the goal you should think of while writing code. Sometimes, there won’t be any other way than having a software which has 10,000.0 lines of code and it is okay. But what we aimed for is having a software that is as maintainable as it can be. When I say maintainable, what I mean is that simply finishing a project won’t mean that it won’t change in one day or one month or five years. A query from a client can make your project change over time,and while you’re going through those changes, you don’t want to change all the code that was written before. Having maintainable code can be achieved through different methods, and by this I don’t mean the methods we usually write in order to complete operations. One of them is code reuse. Like it was said earlier, class B inherits from class A. Inheritance is a mechanism for code reuse. Not only B gets all the same behavior that A has, but B has accessed to all the attributes from the class A. Has much as inheritance is a good principle to follow while doing OOP, there is something that we must keep in mind while using inheritance. When a class inherits from another, what we’re trying to achieve is to specialize a concept by adding new behaviors to the class. Basically, we have what we call the superclass which has some states and behaviors that can be common for many situations. Then, we have the subclasses which inherits those traits but add new ones. For example, we could have the superclass Person which has a Weight, Name and Age. Now, we have the classes Student, Manager and Employee. The Student objects, since inheriting from Person, already have Name,Weight and Age. But a student has more than simply that like a grade point average (GPA) or a student id (ID). Employee is also inheriting from Person but has the properties Salary and Bonus. Finally, we have Manager which inherits from Employee but only overrides behaviors from Employee. That’s a benefit from inheritance. Even though we inherits from a superclass, if we like the behaviors from the previous class but there is some things that need to be change, then we can override those behaviors in order to achieve what we truly wish to do. Down below, we’ll see in code exactly what I said we can do with inheritance. //Usually, the name of a person does not change, so we'll make it private. We’ll begin our journey down the road of oriented object programming with the first principle: encapsulation. When we create a software, we have multiple pieces of data which communicate with each other to do exactly what we wish to achieve. While we would love to live in a world were the users of our software will do exactly what we hope they should do, they won’t. THEY WILL NOT. When we create a software, we must the users not as good users who will do what we want but as evil users. This way, while we’re creating a software, we’ll make sure it is bulletproof. The first way we get to do that is with encapsulation. While some part of the data must be available to the users, or they won’t be able to use the software, encapsulation creates a wall around the important and sensible data. We protect what is important so that no wrong or unpredictable behavior This wall enables us to choose exactly what we wish to protect and make private and what we wish to make public for the user. We are not going ahead of ourselves, we’re going to stay with how to make data public and private. What we really want to do is how we can access and/or modify data. Before we get into that, we must first get comfortable with the following: fields and properties. At first, they might seem almost alike for the beginner, I myself took a little while before I got used to them, but they’re not. Fields are simply public that a class exposes. Even though properties do exposes those variables, they give to users the ability to control how the values can be set or how they can be accessed. But in the end, they are both a way to store and retrieve information when we’re manipulating objects in our software. Like I said earlier, it can be hard to get used to them and to know which to use in a given situation. Usually, we use properties when one has to enforce the way a value can be retrieve any moment during the run time. We use fields for operations like a validation, for example, does this particular file exists at this moment when I need to use it (bool value). We got to know about all of this, it would be a great time to see this all in action in an example. We’ll create our first class with fields, properties and methods. Those are really what define an object. The properties and fields provide different states to the object and the methods give the object the behavior we expect it to have at run time. We are going to create the class Person, class starts with an upper-cased letter, which will have a few fields such like a height or a weight. The objects from the class Person will have a few different behaviors, such as saying hello to a fellow comrades. Before we get into the code sample, I thought it would be a good idea to talk about how we do create objects. We have mentioned them but we barely scratch the surface. We have what the techies in this world call constructors. They have the same name as the class we’re creating, and just like any other methods, they can, or not, receive parameters to initialize given attributes from the class at run time. OOP: Do you object to this statement ? First of all, I’d like to wish you to have a wonderful holidays with your family, wherever you are at this moment. During the first lectures, we went over some of the basics of programming. Even though it might have seen like a lot, it was just the core fundamentals we needed to understand the basic logic in any given program. Don’t worry, we’ll cover some more later in the blog. Right now, with what we’ve seen so far, I thought it would be a good idea to get into the hype of object oriented programming. Say what? Object oriented programming (OOP) ? Sounds funny huh? It is actually a really popular programming paradigm in the developer’s world. It is my belief that we ought all to know more about this. I don’t mean that we need to be expert in this particular field, but there’s so much to do with this paradigm that it would be a shame to not exploit what it gives us ! 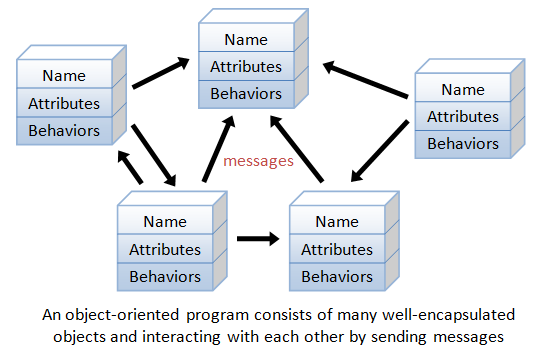 To begin, what is oriented object programming ? Wikipedia defines object oriented programming as the following: “a programming paradigm based on the concept of “objects”, which are data structures that contain data, in the form of fields, often known as attributes; and code, in the form of procedures, often known as methods.” I’m going to roughly summarize this as a programming paradigm which able a given programmer to place any form of data in an “object” which can be use at anytime for any given purposes such as interact with it. That’s some heavy abstract notions that was written. In this blog, I’m going to cover as much on this paradigm as I possibly can. OOP has a lot of advantages such as making code more flexible and more maintainable. As much as I would like to tell you that oriented-object programming is the best way to do things that you’d like to do, it is not always the case. In fact, like anything else this world, OOP has some downsides that can be unappealing like the effort it takes. To be really good in this paradigm, it takes a lot a thinking and creativity to create efficient objects which will help you reach your goals. Don’t get me wrong, I like OOP. Even if it takes some time and creativity, you must keep in mind that in any given programming paradigm, coding is a craft that takes time, no matter what you do. In the previous paragraph, I have mentioned a specific keyword of oriented object programming : class. A class is a template in which we will store all the data we need in order to define the object we want to create. That’s all there is to it. When we use objects from this class, we call them instances of the class. When I say instances I mean that once you have created an object of a particular class, you actually are creating a reference which is pointing to the data of this specific class. In short, in your code, you can have multiple references to the same class (instances) but, that does not mean they will contain the same exact data. Let’s say that you’re creating a zoo application. In a zoo, there is more than one animal of the same kind, but they aren’t identical. In the same with objects. Some can be identical. for given purposes, but some are simply not. While we’re diving in the oriented object programming paradigm, we’ll get to see what truly makes a programming language like C# OOP with the help of encapsulation, inheritance and polymorphism. Without those three core fundamentals, you cannot use OOP with a language. But more on this in a later post. We’ve seen quite a few things in the last few days. Now, it’s time to put all the fundamentals to good use. Today, we’ll create a console application in which a user can access the menu of its bank account. At first, the user will need to set up his password to get inside his account. Then in order to withdraw money, a user will need to make sure he had deposit money earlier before. In a situation in which he tries to withdraws more than he previously had, the bank will print an error message to tell him that the operation is impossible. If he tries to withdraw money that he owns, the console application will print the amount of money that was withdrawn and how much he has left. After each operation, the console application will always ask the user if he wants to quit, if so, he will only have to press the ‘q’ letter. In this console application, we’ll mostly use methods to reduce the code that has to be in the main method. For the purpose of just looking how something like would work, we’ll start with a bank account with 2000$. This our first real console application, so we won’t go too deep. We won’t manage, for now, what happens if we were to withdraw more than what we have in our bank account, the console application will show a negative balance. We’ve gone through a lot of the core fundamentals of programming with C#. We’ve seen how to evaluate conditions in our program flow and different ways to repeat a block of code with the help of loops. We’ve seen different notions that can help us to really understand how a software program works with the basics. At first, when we create a console application, we dwell in the fact that the software application has X lines of code. Sure, having a lot of code seems fun, we look like we know what we’re doing. As fun as it may look, a lot of code is really hard to maintain. While we may think that as soon we’re doing writing a software that it’s done, we may have to come back in a few days or months to improve its functionality. But that’s not the topic of this post. What we’ll learn today is to create methods. Using methods can reduce the code we need to have in the main method, which was seen in a previous example. A software program runs from the main method which will do exactly what our program needs to do. Sounds weird huh ? Code can exist outside the main method, but to be used, the code must be called in the main method. Basically, a method helps us to not have to repeat code, and that’s something we should always try to achieve while we are developing something. Why would we want to do that ? Because if a piece of code has a bunch of errors, if we duplicate it in several places, we’ll have to look for all those pieces and correct what was wrong. That is not a good practice, we should aim to not do that. With methods, the naming convention changes. The first letter is upper-case. Moreover, the first word of the method has to be a verb, it shows exactly what the method is trying to achieve. In the previous example, the method is “PrintWelcomeMessage”. It’s easy to understand that the method is printing a welcome message and takes a parameter, a string data type. For now, we’ll won’t focus on the static keyword. More than just the naming convention, methods, as it was mentioned earlier, can take, what we call, parameters. Sometimes, they don’t. Parameters are values that are placed inside the parenthesis. We have to define the type of the parameter and give a name to the variable, like we always have done before. We haven’t discussed another keyword that has appeared in this post, “void”. Void means that the method won’t return any value after it has reach its end. When we’re using methods, we can decide if we want a method to return something, like the result of a computation. We’ll try out a class(classes will be discussed at length in a later post) which is given by the .NET framework, Math. Thanks to this previous class, we can use different math skills which we could have learned before such as square root, sinus or power. As we could have seen in the last code sample, when we perform any kind of operation and we want to have it later, we have to return what we which to have. In this case, we used a switch to store different values in an array. When we were done, we used the return keyword, which return the variable we which to return we need it. We have covered basics to some point. There is a lot we need to know before we can get better. But now, with what we know at the moment, a lot can be achieved. We’ll see how to create console applications in order to resolve issues with all we’ve seen so far in later post such as creating a menu for a user who wishes to withdraw money from his bank account or how to manage an inventory. Yesterday, I’ve just acquired some tech device which I’ve been looking forward for quite some time. 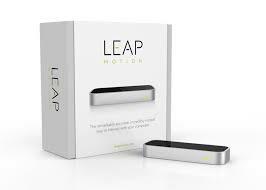 It is a motion tracking device, called Leap motion. What really attracts me with the device is that I can develop my own application with it. There are several languages that are supported, but I focus on C# for the time being. But trying other technologies is part of our life as developers, so I’ll try to use other languages if possible. When I’ll get more experienced with the device, I’ll start a mini series in which I’ll show you how to create your own first application with Leap motion. Just remember, the code won’t work without acquiring a device for yourself ! Programming basics: what are strings ? When we first talk about, it was mentioned that the String data type were to be discussed in a later post. So what exactly are String ? If you remember, we have the char data type, which is used to store a single character inside a char variable. Sometimes, we need to manipulate more than just one character. What previous programmers did to get around this issue was to use Arrays. Arrays can really simply your work when you have to store a lot of information into your program. You have to look at arrays like entities in which you can store multiple variables of the same data type in a single structure. In programming, an array type is use to describe a collection of elements of the same data type like it was said before. Each element in the array can be access with identifying keys (indices). Usually, when we have a ten values that we want to store, we start counting from value 1 to value 10. In computer science, we start counting starting from 0. A quick trick to know the last identifying key of your array would be to take its length and reduce it by one. The length of an array is defined as how many elements it can possibly store. Something must be kept in mind while we’re using arrays : they are static. STATIC. Usually, when we use variables, the value that is stored in the variable can be modified at any time. When we initialize an array, we either directly store the values it will hold or we give the maximal length of the array. If ever we were simply initialize the array with its maximal length, every value in the array will either be undefined (null) or 0. Null values will be aborted in a later post. We’ll see below how to do such things. //once we initialize an array, its maximal length can't be CHANGE ! //but the values that are stored can be modified. Arrays have a lot of potential when we are developing a software application. In fact, as it was mentioned before, the programmers of the old had to use char array to store what have become String value. We’ll see an example how to create a char array and showing the values of the array for the user. This blog post will cover the use of loops. Loops are used to repeat the same operation(s) at least once. Usually, most programs you can think of will need this kind of functionnality. We can use loops to go through data or let a program start from the start, they can even be use when we need to compute data. In order to execute a loop, a condition must be validate, which was why we had to know how to manage the program flow of a software application. while(selectedAnswerFromUser== 'Y') //We are evaluating the condition the the    equality operator and not the assign operator ! Thanks to those, we’ll now see how to create a condition in a while loop. In the for loop, we first have to initialize which variable is used to iterate, but it does not have to hold the value of 0. Then, after the semi-colon, we have to give a condition to the loop, which, like we know, use to know how long we have to iterate. And finally, we have to specify if the value of this variable is going to increase or to decrease. Also, we don’t have to increase/decrease by the value of 1. It was used to serve as an example. This post is a small break from the programming basics serie. I’m going to talk about a real life project I will talk about in this blog. It will be an open source project, which will be accessible from my GitHub account profile. Before going talking more about the basics, I thought it would be a good idea to talk about what could be achieved when we will put everything that was learned and mastered here in this blog. You have to create a software application which will store a large number of clients. These clients will make orders and they have to save in a database which must be available a least 95% of the time. Sometimes, special orders takes more time than usual before they come in, when this happens, you can either make it so that when it happens, you automatically send emails to users or u make a query in the database to select users and then send the email. For emails in this situation, you should have templates which would just receive dynamic data so the user of the software has less manipulation to do. sign in into the app with all our information. Be able to see whats going on in our account. Moreover, while using a mobile device, such as a phone or a tablet, users would have notification of what going on. Even if emails are sent to the email account, it would even better to select what kind of feedback from the company a customer would like to receive. In this example, we have a software application which must use a database. The information must be available at least 95 % of the time, so the fail rate has to be really low. The information on the orders must be available online so the users can access it from his mobile device with their app. In our dev world, there are many ways to complete a task. What I recommend is usually go with what you know so you’ll know what you’re doing while you are doing it. But, in a realm in which things move faster than when oneself blinks his eyes, I think it would be a benefit to try out new technologies in order to gain experience. Honestly, I haven’t really experimented the technologies #2, 4 and 6. But I’m not going into this series before we’re ready to do it. So during that time, I’ll get my hands dirty. In the developers community, when someone says getting their hands dirty, it is meant as programming. In order to understand something, we really need to experiment by ourselves, even if the code makes sense to you, I strongly suggest that you at least copy paste it into your IDE and run the application to see how it works on your machine. What would be best is to modify the code, play with it until you truly understand what’s going on. On the topic of the open source project, I’m going to take you step by step in my solution. This is going a more advanced serie, but bear no fear, if there things that you don’t understand, post comments and I’ll answer you to the best of my knowledge. At first, we will setup our database before going into coding. Then, we’ll design our software application for the company. Then design our mobile app. Afterwards, when the designs are completed, I’ll explain the more complex parts of my implementation, but not all of it. You’ll be able to find the project on my GitHub. Don’t worry, it’ll be commented! This is the first part of a mini-serie to introduce the basics of programming with C#. Don’t forget to look at my GitHub account. I haven’t decide yet, but surely I will create a project which will resume every topic that I’ve talked about during the Programming basics serie. So, we’re finally there, will start talking about the programming at last! In this serie, I assume that you’ll have already downloaded your IDE( if you don’t know what’s an IDE, please go read my blog post about IDEs) on your machine. Like I have mentionned before, I’ll be using the Visual Studio Community Edition IDE in this blog. As you can see, when using a variable, the variable’s name is on the left and the value,which will be assigned, is on the right. To continue, the float,double and decimal types should be use only when you to consume data which contained the full value of number like 1.25. Upward, you can see some code sample showing the use of two variables and C# function(more on functions later) in order to display data to the screen. There’s quite a lot going on in this sample, the part with the double slash is called comments. Comment will be discussed in the next part of this serie. Moreover, as you can see, the names of the variable don’t really represent anything. When using variables, the names you use should always be meaningful. By always doing so, you’ll be able to understand the code you’ve written a while back faster without, or almost, need of comments. To finish, the char type can only hold a character as a value. A character can be anything such as a alpha or numerical character. The char data is assigned with single quotes. You can see an example below. To wrap up, variables have a meaningful name and a value. When using variables in your software application, you should make sure to always use the right type in order to be memory efficient. I can assure you, this is the last post I’m writting before you’ll finally be able to dive into programming. On the plus side, this post is meant to help you with coding. To be able to program any software, a programmer needs an integrated development environment (IDE). Before, .NET applications were only able to be used on the Windows operating system. But since a great event that happened a few days ago, .NET became an open source project! Hearing this was a source of great joy for us, .NET developers. This means that now you’re not force to have the Windows operating system on your machine, you can now have it on either Linux or Mac OS X. You have a great selection of IDE to create a software using .NET. Below, you’ll be able to find a small list of IDEs you could use. You’ll be able to find the Visual Studio Community Edition here : http://www.visualstudio.com/news/vs2013-community-vs. Now, we are all set to be able to create awesome stuff!